SEO (Search Engine Optimization) is sort of a dirty word these days. Every day, businesses are hammered by offers to “get them to the top of the Google rankings”. While your site’s SEO is very important, the telemarketers have never been to your website, they do not understand the local market, and they definitely don’t know your company or your customers. With a full assessment and custom report, you’ll see that your on-page SEO is just piece of the puzzle, and that a few minor improvements in the right areas can make a huge difference in how you show up. In time, making even more changes and improvements will help your overall chances of rising through the rankings and landing higher on the search results pages (SERP) for what you offer. You’ll know where you stand. You’ll get complete snapshot of your current online presence today: Where you show up in Google, how your business looks to potential customers, how consistent your company information is, and much more. You’ll know what to do. Knowledge is power, and with our analysis and report you’ll know what’s working, what’s not and decide for yourself what you should be working on. You’ll save valuable time. Since we will do all of the research and analysis for your business and website, you’ll be free to handle what you do best. You’ll have peace of mind. You’ll know what you’re doing right and exactly what needs to be addressed so you can make an online plan for the future. You’ll have more leads and traffic. When you make it easier for potential customers to find your business or services online, you’ll have more leads, more calls and more customers coming into your business. You know there’s room for improvement, but until you know exactly where you’re at today it will be harder to know where to start. Even if your online presence is a complete disaster, we’ll help you figure out what you can do improve things one small step at a time. Thorough online research of your business and how it shows up in local searches and elsewhere. Inspection and analysis of your online presence - website, social media, directories, etc. Keywords and keyphrases and search terms to target with your website copy and advertising. Full detailed 7+ page report with our findings with suggestions and solutions for your business. Phone or in-person explanation and discussion of the results. 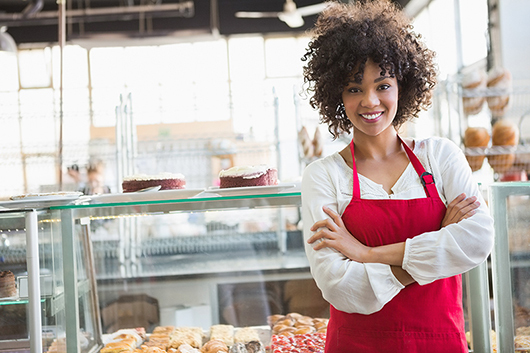 We’ll help your local business get found more easily in no time. Contact us today for more information.